Yet, many businesses aren’t properly managing information. They rely on error-prone manual data entry. Records are stored in folders and shoved in a box. Retrieving data can pull employees from more productive, and profitable, work. This also creates inefficiency that the business will struggle to overcome. In almost any industry, success means better utilizing data and information. Today, there has never been a better time to empower your company with an information and data solution. Cloud storage has made it possible for businesses in any industry to capitalize on computer data storage tools like enterprise content management (ECM). Nowadays, it’s not enough to store records on paper in a box. Modern businesses need to use data and information to succeed. Companies need a central data storage system. That is the goal of enterprise content management. In the past, businesses would develop and implement information processes as needed. As business needs changed, the company would come up with a method of meeting the need. This led to patchwork systems that created errors and mistakes. Silos of disconnected data were squirreled away in different departments. End users would store the information they needed. ECM is the assembly and organization of data and information to meet business goals. It’s not a single process or application. It’s a collection of strategies, tools, and processes designed to capture, record, store, and use information. Capture: Focuses on creating and collecting data and information. This could involve recording data or converting paper documents to a digital format. It is the content that is entered into the system. Manage: Organizes and modifies the information so it can be used by the organization. Who can access data, and how will it enhance collaboration? What steps will be taken with the information to improve efficiency? Storing: Looks at where the information will be kept, and how will it be protected. This may be a content management system or a database with scheduled backups. Preserve: Determines the long-term resolution of the information – your archive. How will it be protected so it is available when needed in the future? Deliver: Identifies how end users access the information they need. How can you get data and information to the people who need it? Companies that leverage ECM improve efficiency. They can react more effectively to market pressure and provide more value to customers. Today, many companies are quickly adopting cloud storage and computer data storage solutions to enhance ECM. Cloud storage tools and computer data storage solutions provide clear and measurable benefits to ECM. With information in a central storage database, these benefits have a direct impact and operational efficiency and business success. Computer data storage creates a single system for all business information. Employees have a single resource for accurate information. The solution removes silos of disconnected data that creates errors and inefficiencies. It eliminates the bottlenecks of information in office workflow. Cloud storage makes your ECM even more effective. With cloud capability, information and access to your data are never further away than internet access. You also have easier access to data capture. Real-time data capture is possible even when you aren’t in the office. Compliance requires strict information governance. This is especially true for any business that handles or utilizes private or regulated information. A strong ECM, backed by a computer data storage, can reduce the risk for the business. Compliance becomes manageable, even easy, once the system and processes that protect information are in place. Patchwork data management systems will increase cost and create overhead that bites deeply into revenue. Data-entry tasks are time-consuming and expensive with little benefit. With cloud storage and ECM, you can automate data capture and focus effort and resources on higher-priority tasks. It can also be a complex task that can overwhelm a business. Working with an expert in office productivity, technology, and data solutions can reduce the cost and schedule for implementing computer data storage. With the right team in place, you’ll quickly see a return for your data solution. 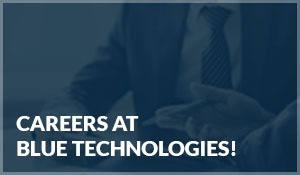 Contact the experts at Blue Technologies to see how cloud storage and computer data solutions can improve your business outcomes.